At Inspire, we bring together some of the most sought after industry experts. Our attendees will have the opportunity to meet and chat with them one-on-one in small groups where they can ask detailed questions and share experiences and concerns with the best of the best. In addition, each attendee will be assigned one of our amazing designers to be their personal mentor for their styled shoot workshop--though these relationships are sure to last well beyond Inspire!. Elly B is a planning and design firm that specializes in creating each event unique to our clients. We enjoy each and every detail from the single teardrop that falls from your fiancé’s eye to the laughter created from the blending of two families to the opportunity to color outside of the lines for our birthday parties and other social events. Offices in Atlanta, Georgia as well as New York, New York. Elly B is also the powerhouse behind the B Collective magazine, featuring opulent celebrations from around the world. CeCe Designs and Events has built a reputation as one of the premier wedding florists in Birmingham, Alabama and the Southeast! Winning several design and industry awards including three consecutive years of Wedding Wire Couples Choice, Best of Borrowed and Blue, and features in National blogs lead to her becoming the go to designer for Live Nation. Her extensive client list includes Journey, Train, Def Leppard, Ariana Grande, and Kevin Hart. Her diverse design roster also includes non-profit Galas such as the Chris Hammond Youth Foundation and Brides Against Breast Cancer, Grand Openings, and concept design for businesses. CeCe Designs work has graced the covers and pages of many magazines including Southern Bride, B-Metro, & Alabama Weddings along with several features on National blogs like Style Me Pretty and Luxe Pearl. Nothing fires me up more than working with a client to elevate her brand so she can create the life she's always dreamed of. I run on coffee and puppy kisses and believe that one person can give life to creating change. I live for making the world a prettier place with heartfelt conversations and random acts of kindness...and, of course, a curated Instagram feed! You may recognize me from Instagram, or you may have seen my new TV series, the Lifestyle & Fashion Guide with The Caroline Doll, on Virginia This Morning. As a brand influencer, I strategically partner with fashion, beauty and lifestyle brands that I am truly passionate about. Kristin Kaplan is an entrepreneur, wife, mother of three, and extreme list maker. A northerner by way of Los Angeles, she is now happily settled in Nashville, Tennessee and loves everything about living in Music City. She founded Stunning Events 10 years ago where she plans fresh, fun, wedding celebrations and manages all business operations. She is also the writer and creator of The Pricing Workbook, a pricing guide for creative business owners, and she teaches, mentors, and coaches creative entrepreneurs and to live a life of purpose by building a solid business foundation and charging what they are worth. 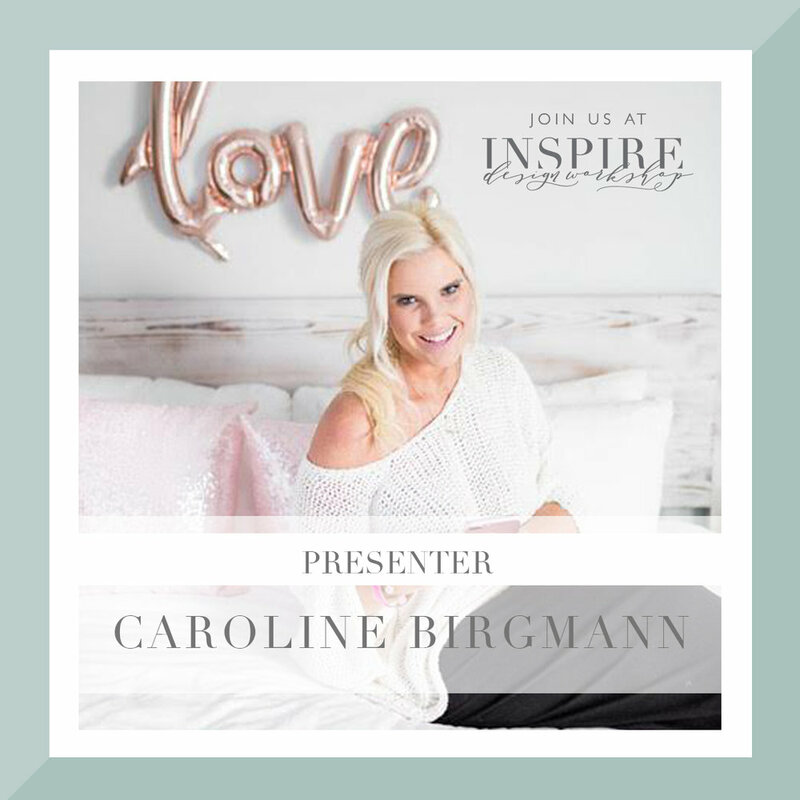 Lulu is the creator of the INSPIRE Design Workshop and owner of Weddings By lulu in New Orleans, where she specializes in destination weddings at home and abroad. Lulu will share insights into how to maximize the added value of design, as a part of planning services, as well as practical tips for a system of presenting & selling your designs. Jaime Kostechko is the Creative Director of Wild Heart Events. Wild Heart Events is a creative event design, styling and coordination team specializing in trendy and unique weddings, inspired by bohemian chic and urban punk. Her passion for color and pattern is featured in publications and blogs such as Domino, Loverly, Popsugar, Green Wedding Shoes and 100 Layer Cake. Wild Heart Events is the curator of The Jam Event, an annual showcase to highlight the trends and top professionals in Central California. Jaime will be addressing the topic of defining your niche and representing your brand as well as ways to expand your brand and market your business. Make sure to add yourself to our mailing list so you'll be among the first to know when we open regsitration for our next amazing workshop experience. Thanks for taking the first step to being a part of Inspire!